Rainy season is here! The rainy days can make our little one’s prone to colds and flus. And to keep them comfortable, you’re going to have to do something to clear those nasal passages. That’s where nasal aspirators come in. I’m sharing my new #MrsEneroFinds that is really convenient and indeed a rainy days essential – Orange and Peach Nasal Aspirator. Orange and Peach Nasal Aspirator is a device that is used to suction mucus from a baby’s nasal passages. It is used when a baby is congested to the point that it affects their ability to breathe, eat and sleep. Removing extra mucus helps prevent further complications such as cough, ear infections and tummy upsets. 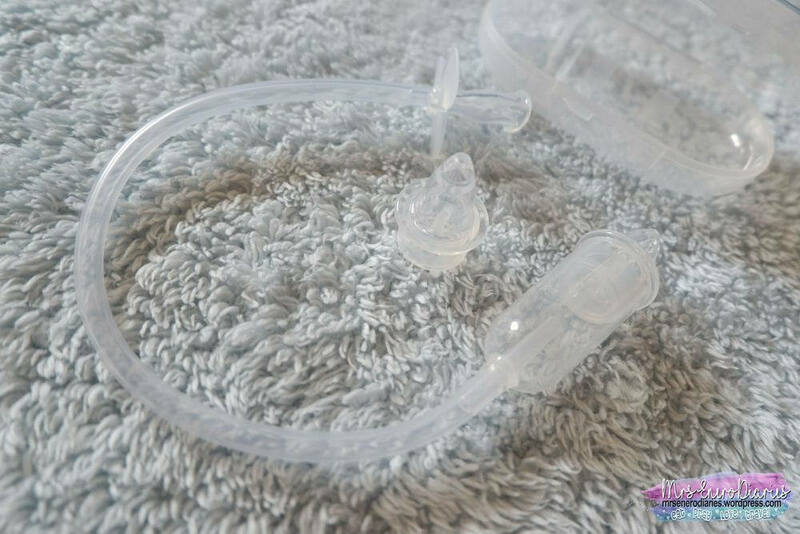 Eliana is now 3 years old, and I have tried so many bulb nasal aspirators and my verdict? I ended up throwing them away, because I have discovered molds inside. And this is one of the reasons why I love Orange & Peach’s nasal aspirators as it can be sterilized and cleaned easily. And it really works! Using Orange and Peach Nasal Aspirator I could get more mucus than the usual, indeed giving relief to my daughter. And it is also handy as it has a sterilizer box wherein I can easily put inside our travel bag whenever we travel. It also has a free extra tip. The Orange and Peach Nasal Aspirator is made with BPA-free material that is soft and comfortable enough to be placed inside your child’s nostrils. It is Pthalates free too. Place the mouthpiece (at the other end of the silicone tube) in your mouth and apply suction. The mucus collects hygienically in the sealed tip base. You have complete control by varying the level of continuous suction. Start slowly and gradually increase the strength of suction. If mucus is thick or dry, dropping saline solution in the nostrils may help. Clean the aspirator before and after each use. Remove the tip from the tip base. Squeeze the lower part of the tip to open the lid and wash away mucus using warm water with soap. Dry thoroughly before storage. Sterilize the nasal aspirator if using between infants. Orange and Peach also have Breastmilk Bags Silicone Milk Saver Pump and Cotton Balls. For more inquiries : Follow Orange and Peach on Facebook and Instagram. Orange and Peach products are also available at Mercury Drug stores nationwide and Lazada.